Leading Exporter of newzenx present unique design golden engraved hookah 21 inch, shisha hookah single hose 30 inch, shisha hookah 12 inches single hose, shisha hookah 22 inches single hose black and shisha hookah from New Delhi. Packaging Details: 6 pieces in a case WAREHOUSING AND PACKAGING Our warehousing department ensures that the products stored remain in good condition. Professionals who manage our warehouse are also responsible for maintaining the stock. As our warehouse is connected with various transportation modes, therefore, we can even deliver the bulk orders of the clients on-time. Frequent checks and visits are conducted in the warehouse, so as to check the stock details and functioning of all the facilities. We also have an in-house packaging department, which provides with tamper-proof and attractive material to the products, we are packaging with outer and inner with corrugated box, also we wrapped with fragile handle with care our all boxes for safe delivery. 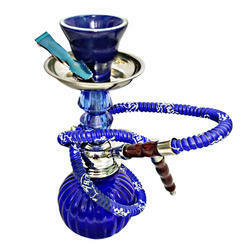 This quality hookah pipe from Mya Shisha stands an imposing 30cm tall atop the beautiful blown glass base. The hookah comes equipped with one 1m long hose, however, it has a 2 hose adaptor, so you can add more hoses as and when needed. This hookah from Mya Shisha can be used with traditional charcoal.We have a variety of designs on offer, check the drop down for availability. This hookah from Mya Shisha can be used with traditional charcoal. We have a variety of designs on offer, check the drop down for availability. With the support of our expert professionals and our business associations, we are offering Shisha Hookah(E Hookah).The offered hookah is designed with supreme quality material & innovative techniques which make it more attractive. 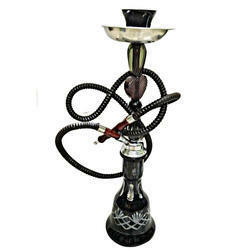 Our given hookah is provided in different stipulations along with different designs to choose from. 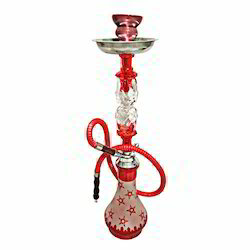 Our customers can purchase this hookah from us at affordable rates. This is 22 Inch Tall Shisha Hookah Color Frosted Unique Design Hookah. High-Quality Soft Glass, Frosted Polished Hookah, Export Quality.We are a New Delhi, India based manufacturer of the large variety of Unique Design Hookah and many new design hookah manufacturer and accessories. We are a 21 years old certified company.We produce our hookah Indian traditional design in house production and having experience of more than a decade. 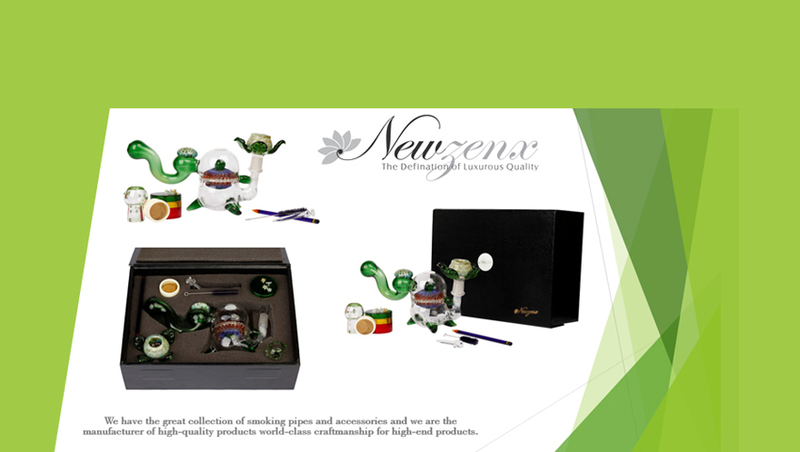 We export our pipes, hookah, tobacco pipe and accessories to more than 12 countries. Our glass hookah has the heavy wall thickness of high level of transparency. Each hookah finished with high-quality polish material to gives you a mirror like finish. Packaging Details: 6 pieces in a case WAREHOUSING AND PACKAGING Our warehousing department ensures that the products stored remain in good condition. Professionals who manage our warehouse are also responsible for maintaining the stock. As our warehouse is connected with various transportation modes, therefore, we can even deliver the bulk orders of the clients on time. Frequent checks and visits are conducted in the warehouse, so as to check the stock details and functioning of all the facilities. We also have an in-house packaging department, which provides with tamper-proof and attractive material to the products, we are packaging with outer and inner with corrugated box, also we wrapped with fragile handle with care our all boxes for safe delivery around of the world.